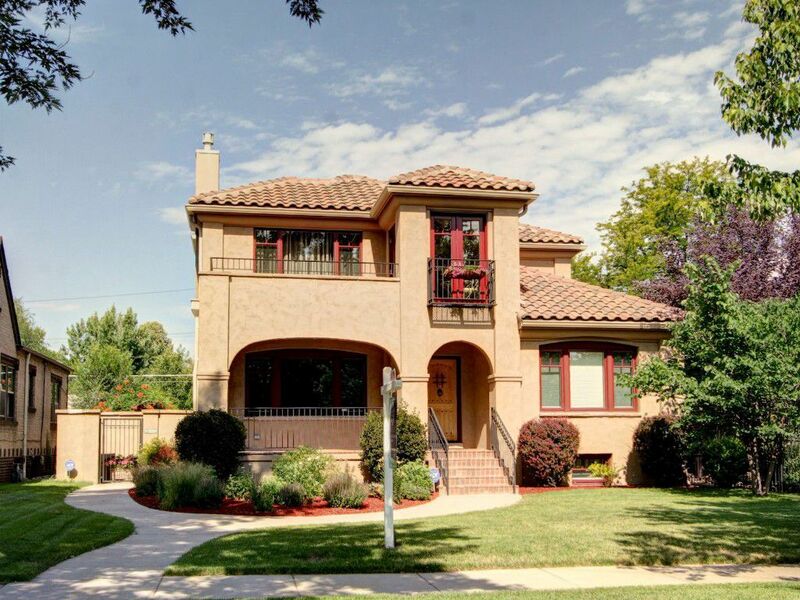 Mediterranean Style Masterpiece with Washington Park as your front yard! This Custom Built Home welcomes you immediately upon entering. The Cooks Kitchen is a chef's dream w/mega storage, Custom Knotty Alder Cabinets, Slab Granite, Sub-Zero, Thermador Stainless Appliances. Master Suite has private sitting area w/Rapunzel Style Veranda, large walk-in closet, fabulous 5 Pc Master Bath with steam, dual shower heads,surround sound and a second laundry room. Spectacular Finished Basement complete with wet bar, office & legal bedroom. Sound system is included. Large 2 car garage w/storage, adjacent off street parking. Visually stunning with amazing attention to detail, nothing was overlooked! This home is truly move in ready and has been impeccably maintained & meticulously constructed. Interior Features: This Custom Built Home welcomes you immediately upon entering. The Cooks Kitchen is a chef's dream w/mega storage, Custom Knotty Alder Cabinets, Slab Granite, Sub-Zero, Thermador Stainless Appliances. Master Suite has private sitting area w/Rapunzel Style Veranda, large walk-in closet, fabulous 5 Pc Master Bath with steam, dual shower heads,surround sound and a second laundry room. Spectacular Finished Basement complete with wet bar, office & legal bedroom. Exterior Features: Gorgeous stucco design with spanish tile roof. Amazing private outdoor courtyard with surround sound, and gas grill. Location: Enjoy all the amazing things Washington Park has to offer. Close to shops/restaurants.